 IM Los Cabos Race report by Ray P.
Some people say that the best way to get over a bad experience is to get "back on the horse" and so I did - two days ago I raced Ironman Los Cabos, only 29 days after racing in Kona (where I had mechanical issues on the bike). I had a great swim and on the bike I got up to second place in my AG before the end of the first lap but after 120k once again I had the same mechanical issues plus a flat tire which all together made me loose 43 min. After trying everything to fix my bike I decided to stop racing as there was no way I could finish the ride on the 54/11 gear specially considering the last climb we had to do before T2. I rode back to town just to hand in my chip and once I got there I remembered myself quitting should not be an option unless I couldn't physically do it. I decided to keep pedalling my single speed and went straight into the last out and back 5k climb behind town. Got to T2 with a 40+ min deficit, sat down on a chair inside the tent sat down and just cried. I couldn't deal with the frustration, this time it WAS avoidable! It was SRAM negligence what had me so angry. After Kona SRAM said the issue was in the rear derailleur when it just didn't make sense. I knew it was on the blip box, but they had replied they were the experts and they knew what they were doing, I trusted them and they were wrong. Once again I knew the run would be a mental battle, I was running "for nothing" - podium and Kona slots were out of my reach. I was very far behind in 18th place but somehow I found a way to let the bike issue behind and tried my best to put a solid run together. Having 4 laps on the run meant I would see Regina and my fiends 8 times and their support really helped!! I ended up finishing 7th in my AG and surprisingly only 27sec behind a Kona slot. 2017 has been long year for me with some great races and some clearly not so good but I take all this bad experiences as good lessons to hopefully come back stronger in 2018! Thanks again to Regina for her patience and support though all this year, to my coach Justin Daerr and to swim coaches AM and Fen from #swimlabasia that have patiently helped me improve my swim from many miles away!